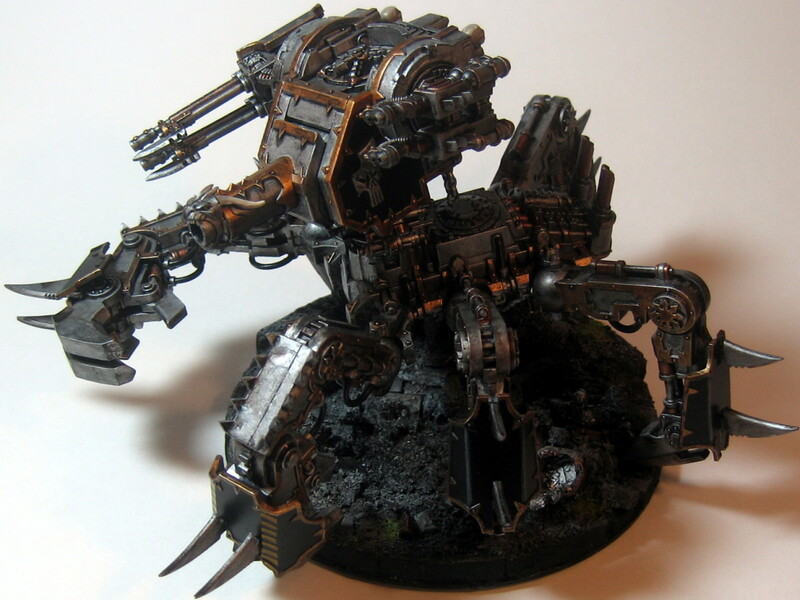 Finally, here are the pictures of my Iron Warrior Defiler. I entered this two weeks ago in a painting competition at my local GW store. This didn’t place, but I had a great time painting it (and the competition gave me a good excuse to finish it!). 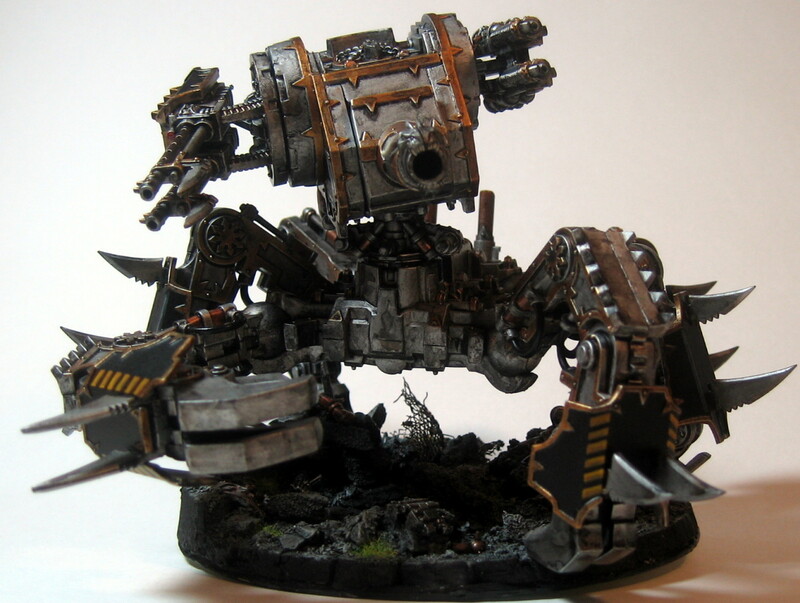 I didn’t do much conversion to the model, but I did build up a base for it from an old CD. Now that this model is finally built and painted I need to get him into a game and blow away all those silly loyalists! 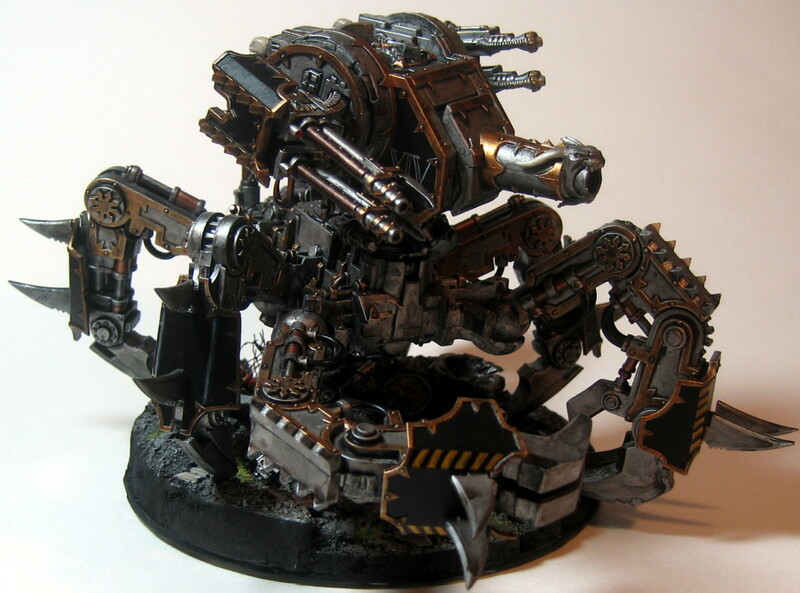 I also tried to magnetize the torso to the legs but it was too heavy for my little magnets so I had to pin it. The top still comes off for storage and transportation, but it can’t rotate during a game. The base is an old CD that I glued a layer of pink Styrofoam onto. 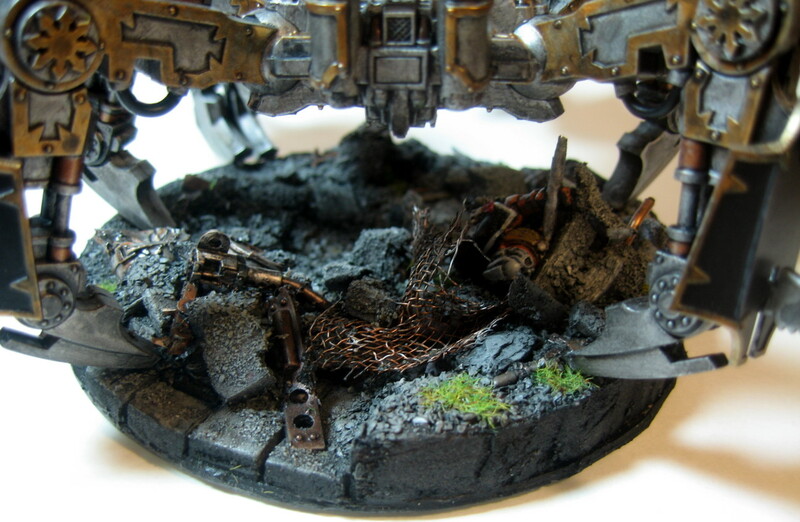 Odds and ends, bits of rock, and the remains of a space marine were all added to this. The legs were pinned to the base when it was all finished so I could paint all the areas that are now a bit out of the way.